It's been said over and over again - "this little girl was something special"..."extraordinary"..."enchanting"..."remarkable"..."weird" even. I've read that it is common of grieving parents to over-emphasize the seemingly perfect qualities of their deceased child. I don't want to fall into stereotypes, but those of you who knew Vienne would know that I am not exaggerating when I boast about her. I need to jot down my memories of this rare Gift I was given in Vienne and emphasize that she was definitely not like the rest. I want to...need to remember every little tiny minute detail about her. I want to always be able to come and read these things and be wrapped up in her. I can never let her go. My friends will attest to all of this. Too often was I asked questions like "did Vienne ever do this: _______" (regarding something challenging or difficult) and most of the time I sheepishly answered "no". She truly was the exception. She was a rule follower. She thrived off of following rules. Even when the other kids would not listen, she would be the only one to cling to the established set of rules. When there was a rule, she would not disobey. I only realized that this was rare and almost odd when I would watch after other children. I would find myself repeating a "rule" and stand in shock as these other children would actually not listen! I didn't even know what to do. Vienne listened. I was spoiled. I remember the very first time I had to "teach" Vienne something with a bit of gentle discipline. 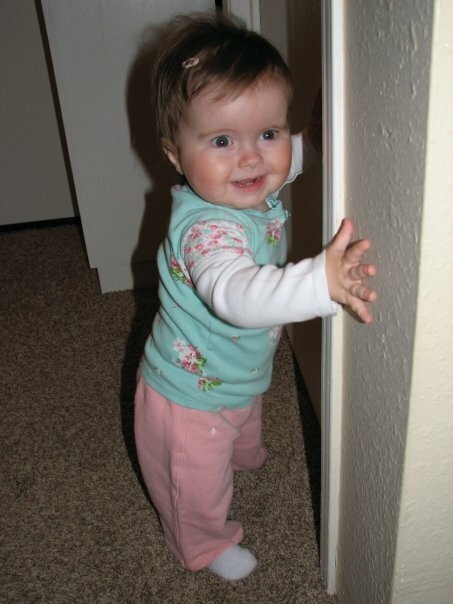 She was about 10 months old and starting to "furniture hop"...you know, walk along holding onto furniture and the walls. One day, we were in her room and she came to an outlet with baby plugs in it. She reached out to touch it and I gently but firmly said "no touch". It was the first time I had used this voice with her. I distinctly remember her gripping the edge of the toy box she was holding onto, lowering her head and breaking down into tears. When she recovered, she reached out again...this was all new to her...this voice of Mama's. This time, I put my hand over her hand and pushed it down to her side while saying again, "no touch". Again, she repeated the crying. This happened just a thrid time, with a firmer voice and hand from me and then it was over. In 4 1/2 yrs of her life, she never, not once, touched an outlet. 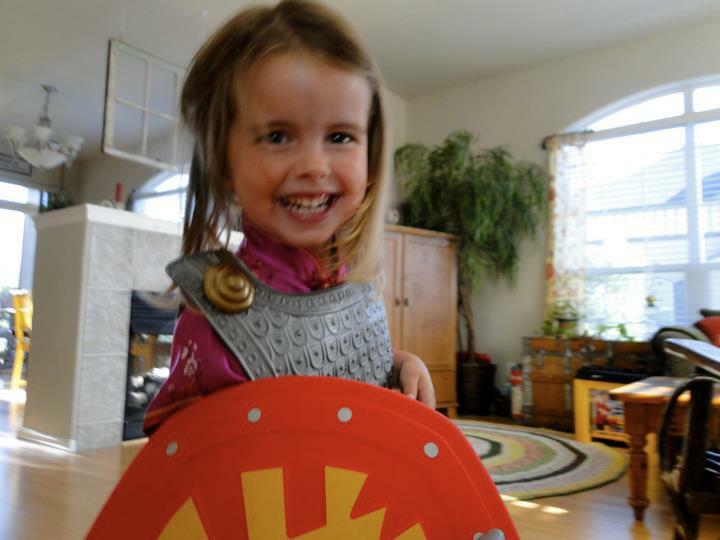 From then on, she understood "no touch" and it was smooth sailing for us all. I could teach her to avoid something unsafe just by explaining the dangers of it when she was older. She would easily respect anything with potential danger. So cautious. She would never ever walk from the edge of the car, in a parking lot, without holding my hand. If I had forgotten to grab her hand, in the bustle of carrying Ivy, the purse, and bags, Vienne would stay by the side of the car and cry out for my hand. On walks, when she ran up ahead, she would always always stop at the edge of the sidewalk and never cross without holding our hands. She never played around on the counter for she knew the dangers of falling off. She never carried anything big up or down the stairs for she knew the dangers of falling. She never stood up in the bath tub or splashed or played near the faucet. etc. etc. Vienne did not have temper tantrums until probably the last year...and there were maybe 3-4 total. It was rare and always took me by surprise. If they did happen, it was almost always because she was tired and irrational...and had hurt feelings. They never lasted long and could always be remedied with a hug (after I established my will over hers with appropriate loving discipline). 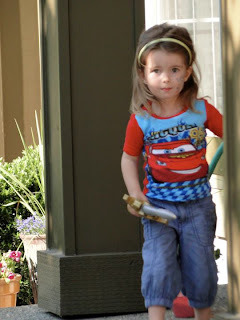 Vienne potty trained at 2 1/2 yrs. old in 2 hours. Yes, you read that right. 2 hours. We read a book called "How to Toilet Train in Less Than a Day". I thought it sounded ridiculous but decided to read it and give it a go. It worked. In her 2 years of being potty trained since then, she had about 3-5 potty accidents in her pants, never pooped her pants, and never ever wet her bed. She almost always said please and mostly "thank you". And, she always said "excuse me" when talking to an adult, while they were talking. We could always take her to restaurants and events and always expect good behavior. No throwing, no yelling, no whining, and no messes. We were even brave enough to take her to some "nicer" restaurants and were always complimented on her incredible behavior by older patrons, who would watch us from across the establishment. It was so nice. I know I said it before, but I swear she never pushed or shoved or exhibited any ill-intent towards any other children. Ever. I was always told that she was the "teacher's favorite" in Sunday School. She was just truly truly kind to the core. An encourager. She loved babies. Just loved them. She was always so gentle and patient with all of them...not just her sister. 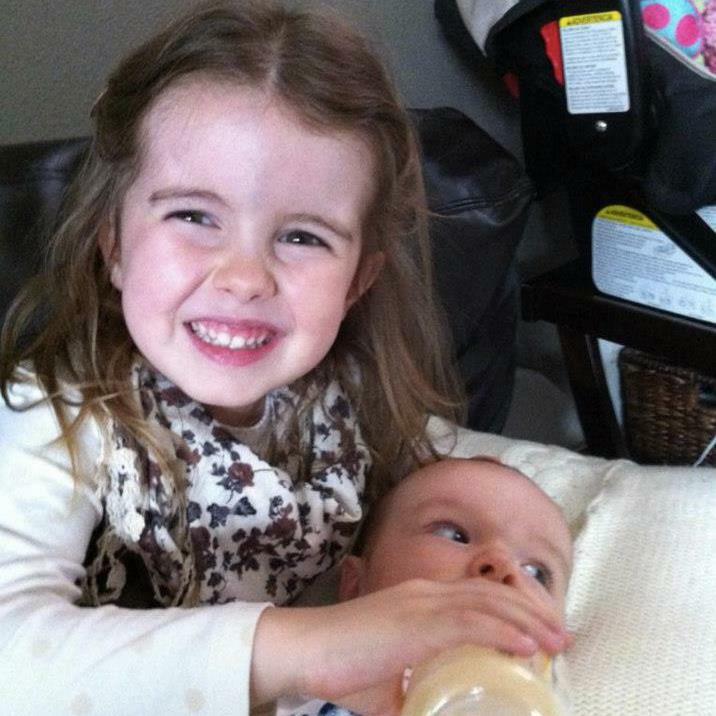 If a friend had a baby sister or brother, she always loved to sit and play with the baby or give the baby a ton of attention...and help as much as she could. She was always calm and gentle. 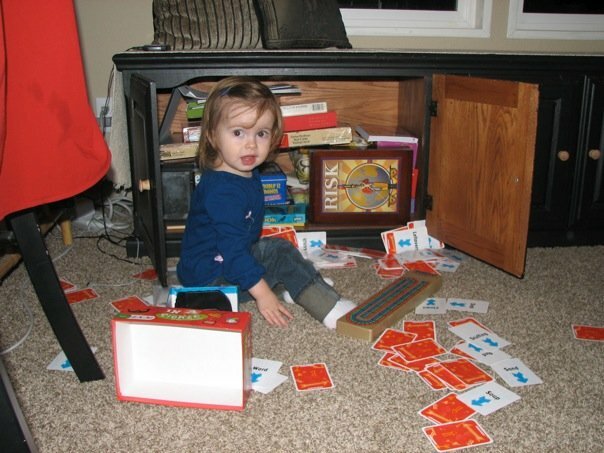 I never baby-proofed our home - I simply taught her about the things she could not touch. I remember from a young baby age, like when she was sitting up on her own, I could place her in the corner on the counter and she would just stay there with me while I cooked. I could always place her on the counter and she would just stay put. 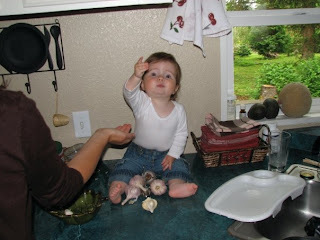 As she got older, she would help me cook and she was always such a sweet and dedicated helper. She was that child that if you gave her a treat and told her to wait to eat it, she would always hold onto it and obey. Sometimes, even, she would get a treat and hold onto it and save it to relish later, on her own time. She was never in a rush. And, she truly enjoyed sharing. It was a delight to her to be able to share with a friend, something that she cherished and loved...to share the same joy that she got out of whatever it was. Oh and she was clean. Tidy. "Meticulous and methodical" were earlier descriptions of her when her personality started to blossom as a baby. I remember one time she was at our friends house for the afternoon, and she came out from their bathroom to my girlfriend and told her that she couldn't go potty because the toilet was dirty!! Oh my. I was a bit embarrassed. Thankfully, it was one of my best girlfriends! ha! Snotty, sassy, bratty, rebellious, feisty, moody...were never words used to describe her. Yes, there were times I was even almost "embarrassed" for I could not relate to other moms in their "trials" with their kids. I felt bad that Vienne always seemed so "perfect". I don't feel bad anymore. She was my perfect angel and I will brag, unashamed, forever. And, then all of this probably makes her sound maybe a bit boring, though, right? But, no. No, this girl was the opposite of boring! Her name meant "vibrant and full of life" and so she was! She was my tomboy princess. If you've read other posts, you've read about her crazy fun imagination...her love for adventure and creative play. She was funny and goofy and unpretentious. She loved wholly and unconditionally. To this day, I remember all of these stories, still with awe. How in the world??! I don't know. I guess it was God cooupled with our parenting...that is the only reasonable explanation for her extraordinary personality. She truly was an angel. such an amazing girl. loved this. What a remarkable girl, truly truly angelic. These memories are priceless, and one thing I pray over and over for you is for forgotten moments to surface constantly. When they do, keep writing them down. much much love, prayers, and tears for you. your words are so sweet, Sadie. Thank you. You know, my darling daughter...VN is my enchantment...truly an angel, here to teach us to love as Jesus loves, to treat people with kindness, gentleness, patience. May we be mindful of that. She was on loan, as much as I hate that - for yes, we were ALL obsessed & transfixed with her every move, her every smile, her every tear. How could we not be? She was OUR gift, OUR treasure - yet not ours to keep here on earth. She exhibited all the fruits of the Spirit, pointing us to the Truth. She is the one that continues to point us to Jesus. I just know that is true. Oh, how I love my girl...how I miss her so deeply. I know, Mama. I know. I miss her so deeply too. I love you deeply.